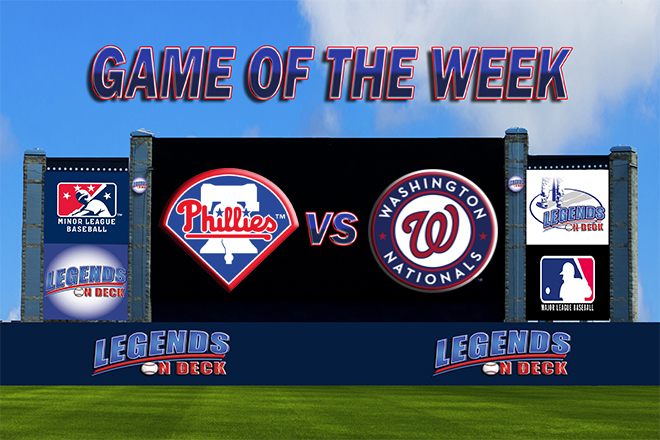 The Nats and Phils opened their series in our nation’s capital on Friday night with the Nationals winning 2-1. Washington’s $200MM man Max Scherzer took the ball on Friday trying to extend his team’s five game winning streak, and he did just that. The right-hander went eight innings, allowing just four hits and one run. He struck out six and walked just a single batter in a dominant outing. His counterpart Sean O’Sullivan, despite pitching well, suffered the loss. He went six innings and allowed two runs; striking out three and walking one. The Phillies jumped out to an early lead when centerfielder and former Rule 5 pick Odubel Herrera doubled in third basemen Maikel Franco. However the lead didn’t last long, because early season MVP frontrunner Bryce Harper promptly blasted his 16th homer of the season in the bottom of the second to tie the ballgame. The two teams would remain deadlocked at 1-1 until the bottom of the 6th when struggling shortstop Ian Desmond roped a double that scored Scherzer and the Nats would never look back. The Phil’s drew even on Saturday winning 8-1 in a matchup between a pair of aces. Southpaw Cole Hamels toed the rubber for the Phillies and was dominant; tossing eight strong innings while surrendering just one run on five hits. He fanned five hitters and allowed just one free pass. His counterpart, former number one overall pick Stephen Strasburg, didn’t fare nearly as well. The struggling right-hander failed to turn his season around, getting knocked around for six runs (5 ER) while failing to make it out of the fourth inning. A surging Ryan Howard led the offense for the Phils, going 3 for 5 at the plate with a homer and a double. He drove in two and scored twice himself. One of those runs scored came in the 3rd inning when Maikel Franco slammed his second home run of the season. Franco finished the game 2 for 4 with two RBI and a run scored as Philadelphia won going away. These two teams will meet on Sunday afternoon in a rubber match as the Nationals fight to stay in first place in the NL East, while the Phillies try to fight their way up the standings from fourth place. Harang has been a godsend for the Phils. He allowed three runs in six innings in his last start, which came on Tuesday against the Rockies. The southpaw started strong in his last start, holding the Yankees hitless through three innings. After that the wheels fell off, and Gio allowed six runs in five innings but managed to escape with a no-decision. He looks to turn his season around on Sunday.